We have published mockups of Apple's next iPhone—before. But these are the definitive ones, showing what the iPhone 5 or whatever it is called would look like in your hand. And, as it turns out, it looks pretty damn good. My favorite is now the black one. I can't really decide. 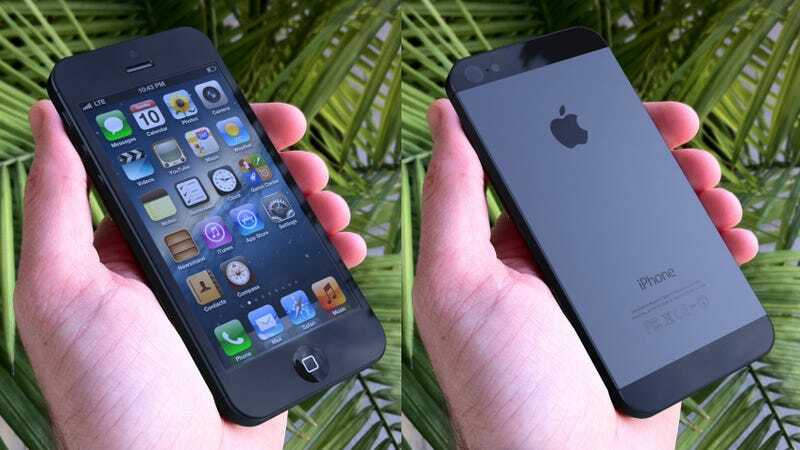 In black, the new iPhone 2012 is very 1980s, as opposed to the 70s flavor of the current iPhone 4/4S. The two-tone black anodized aluminum is reminiscent of the old AV Sony designs of that decade-like their first CD player.